Many manufactures have already decided to adopt the direct part marking method, or DPM to mark parts permanently with a serial code. That’s mainly because conventional marking techniques such as stickers don’t permit complete life-cycle traceability. Medical manufacturers are quite fond of the DPM method; specialists use it for reliable part identification. Engraving is usually in human readable form (alphanumeric) or in data-matrix code or barcode form. If a barcoding system is used when marking parts, this can allow for automated processes to happen post manufacture, such as serial and batch matching or database management of stock. Generally speaking, laser marking comes with a wealth of benefits because the process is permanent and fast; it also comes at a lower cost of ownership, doesn’t require any additional processes to ensure the marking is durable and doesn’t use consumables, thus minimizing waste. The laser marking process is a non-contact process which allows sensitive materials or assemblies to be marked, without the risk of mechanically inducing stress in the parts. Other marking processes use chemicals which need to be cleaned off, consumable inks or induce mechanical stress to cause a surface mark in a product. Laser marking also has the benefit of working with a broad range of materials. By varying the speed and power of the laser system, a multitude of materials and surface finishes are achievable. For a permanent finish with no surface degradation to the material an anneal or colour change may be used, this is quite handy for the health or food industry as regulations state there should be no raised/exposed surfaces for bacteria to grow. If a surface mark is needed at high speed, engraving is a better choice of surface finish. Engraving will remove or foam the top surface of the material in order to convey information, such as serial number or batch number. Also known as marking “on the fly”, inkjet marking is a non-contact process that uses the force of pressured ink over a surface. The technology employs two main types of inkjet-based systems; continuous inkjet or CIJ or drop on demand (DOD). In both cases, the material used as a base has to be moved for the marking to be crafted. DOD is a method that creates marks using various nozzles; these are in charge of depositing a dot on a surface without steering. The marking size and resolution are governed by the spacing of the arrays and nozzles. Alternatively the marks created with the CIJ method uses charged ink droplets, which are oriented perpendicular to the material in order to create the characters. As the parts move away from the nozzle, a dot matrix character are formed. This method works quite well within a manufacturing environment provided the item being marked is not under constant stress or wear. Over time these marking can wear off and traceability has now been compromised. Electrochemical etching is a form of marking that corrodes the material using specific electrical and chemical processes. The effect produced is better known as the oxide black surface effect. Prior to getting the process started, the area to be marked has to be thoroughly cleaned. After that, a pre-produced mask must be affixed to the material. Then the material is coated using an electrolytic solution. Depending on the penetration level of the mark, the making time may take from a few second to a few hours, as the process involves making contact between the electrode and the material. This marking technology is ideal for hard surfaces and thin metals. The electrochemical marking technique involves applying a force throughout the whole process, so setup and marking is a tedious task. 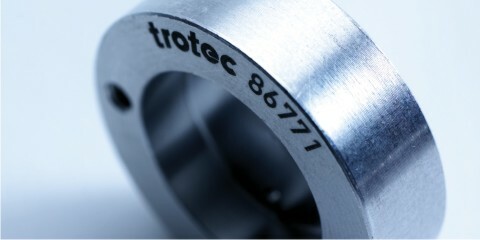 The material is typically etched up to a depth of roughly 0.0025 mm (0.0001 inch). Dark marks etched on surfaces like stainless steel are usually marked in seconds, which means setup time usually exceeds marking time. Laser marking is a clean and fast marking technology that is rapidly replacing old-fashioned engraving techniques. Laser marking allows for easy automation, low ownership costs and results in a mark with improved environmental profile which all contribute to its success. There are several laser varieties that manufacturers can benefit from. Each type of laser has its very own characteristics that are best aligned with specific applications and materials. 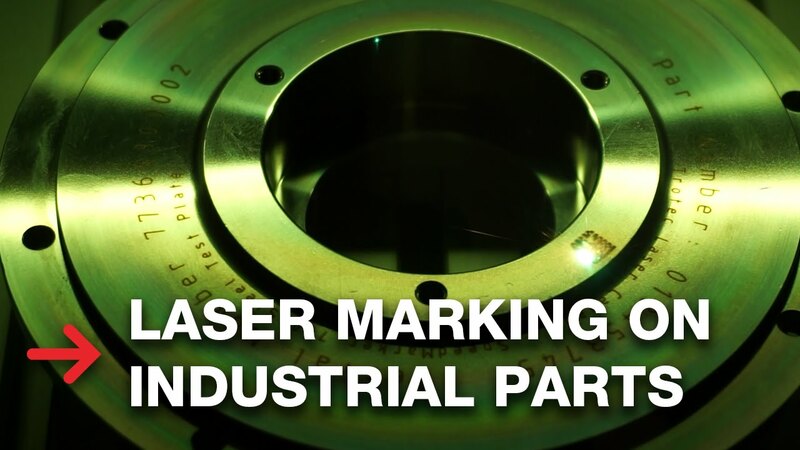 The most common laser choices for universal material marking are carbon dioxide, ytterbium doped fiber, ultraviolet, green and neodymium vanadate lasers. Bottom line is companies must prioritize before making a choice. Choosing a marking method for your application can be challenging. First and foremost, it is fundamental that you assess your business goals. What are you selling? What’s the material that dominates your product line? How many products do you have and want marked? Laser marking is probably the most easy to implement and versatile of the DPM methods we’ve mentioned above. It features a wealth of methods; all of which are far superior from conventional engraving techniques. The quality of the marking is permanent, but also flexible meaning that it can incorporate logos, graphics, text, and data codes. It is clearly the marking method of the future. Co-written by Michael Clark and Fimark.co.uk!